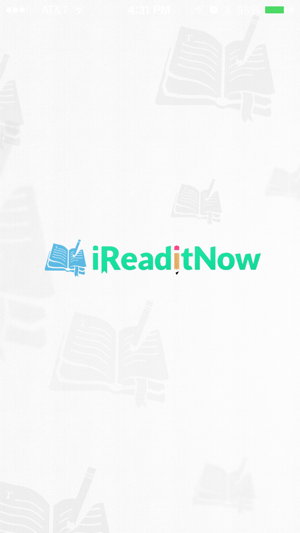 iReadItNow is an internet-based reading log. 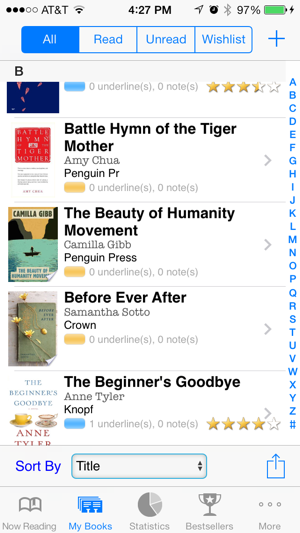 With iReadItNow, users can choose if they want to add a book to their Read, Unread, or Wishlist category. To add a book, users first have to choose the category and then tap the “+” button. Users can then choose to input the book’s information manually or they can tap the “Retrieve Data from Web” button. 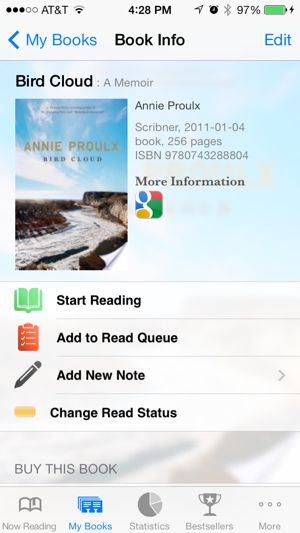 If users tap this button, they must enter the book’s title, author, publisher, or ISBN and then tap the “Search” button. The app will automatically pull up a list of books that fit the descriptors entered, and users can tap the book they wish to add from the list. Once a book is loaded, users can select it from an applicable list, and they can choose different options. Examples options include the “Start Reading” option that lets users document the day they began reading the book and the “Add New Note” option that lets users write and save comments about the book. 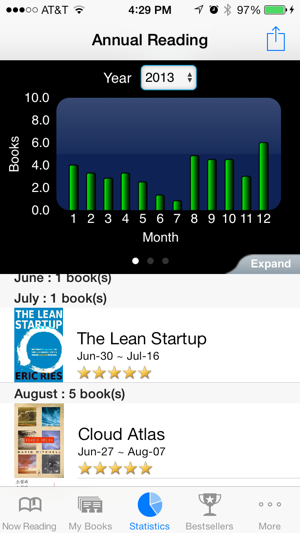 This app also includes other options that let users track their reading stats and search for books that are trending or are best sellers among other options. 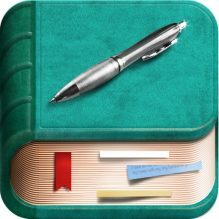 Teachers can assign students a certain amount of books to read per month or semester, and teachers can require students to use this app for tracking their reading progress. If a class is reading a novel together, teachers can use the “Add New Note” option for students to jot notes about each section or chapter of the book. The notes can include summaries, commentaries, or responses to the book. Students will be able to use their notes as study guides after finishing the book or preparing for an upcoming assignment. When students are researching which book to read next, teachers can have them investigate which books are trending or are listed as bestsellers. The Class Library – Helping you catalog and manage all your classroom books.